Tell us about the new show? This show is all about realising the cost of the compromises I’ve made in order to be happy. It’s a load of daft jokes about robots, mythical creatures and baby swimming lessons, but it’s also about how my life is way more meaningful than before but also way harder. And given that I used to be a feckless single stand-up with the world at my feet and no bedtime ever, I probably fell harder and further than most! I loved it but I don’t have much TV profile so every year is “day one”. I’m building an audience from touring and also drawing in fans of my Comedian’s Comedian Podcast – it’s sometimes slow going but I love the work and have a really great depth of relationship with a relatively small community! Nothing makes me happier than performing for two hours to people who’ve come to see me especially! You’re playing at The Stand, which is revered as a great venue for comedy. What makes a good comedy venue in your opinion? Great question! A low ceiling, a strict door policy, empowered security staff and most importantly an audience culture of passion towards comedy! It’s no lie to suggest that The Stand does that last one particularly well, and reaps the benefits to the people who see the shows and the comics who kill to play there. Jumped up street-performer tyke aged 16, blew all my Edinburgh festival takings on watching comics for ten years then took the plunge myself. But if you want me to be really wanky about it, I’m perpetually getting started in comedy. That’s one of the most exhilarating things about it. How do you go about pulling a show together? Obsessively make notes of any thoughts that make me laugh Sept-Nov. In Nov I do a week called “Hell Week” where I write an hour and perform it every night to fans, then back to taking notes for a few months. Then in February I start hyperventilating and work hard for two months to break the back of it. I’ve JUST come into the very enjoyable phase where I have the new show by the throat rather than it having me. In the second half of my tour shows I workshop the new material and depressingly it’s almost always the best bit. Depressingly because you’d think the stuff I’ve spent ages honing would outshine something I thought on the train that afternoon. Your Comedian’s Comedian podcast has been very successful, do you find talking in a more structured way with comedians about their craft influences you? It influences my happiness certainly. And I’m way less jealous, entitled and anxious than before I started podcasting. I imagine I’ve picked up lots of technical tricks too but it’s essential not to try and be an amalgam of all comics! What else influences your comedy? Well it’s all introspective autobiographical stuff, so me me me really! I’m trying to be less clever with my writing, so what really gets me going is a single daft topic, observation or fact, and then i can just pick up the ball and run with it. At the moment i’m obsessed with pain au chocolate, so that’s probably going to feature highly. Just everyday odds and sods that rattle round my brain. 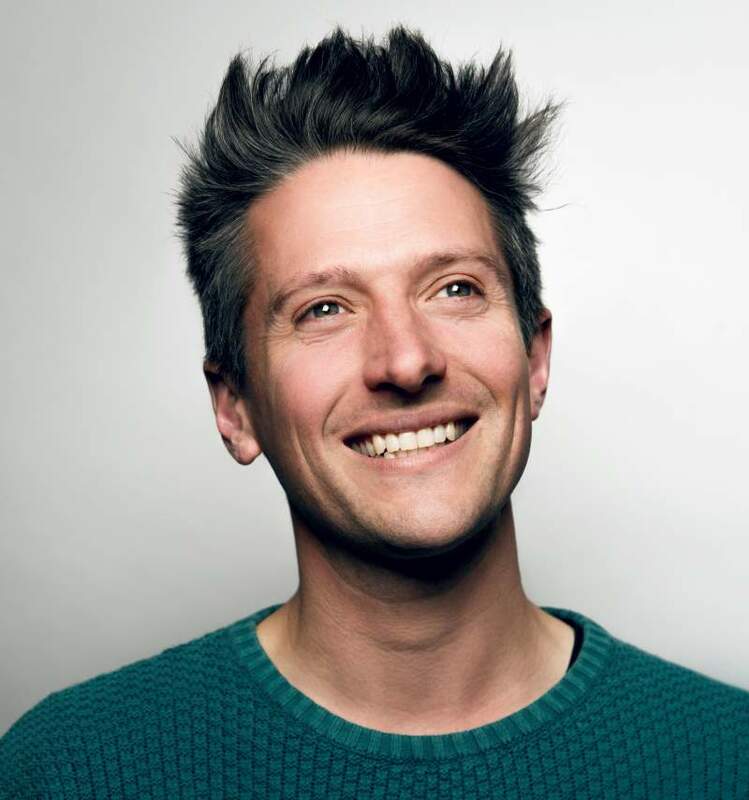 Stuart Goldsmith brings his new show Like I Mean It to The Stand, Newcastle on Sunday 3rd June.